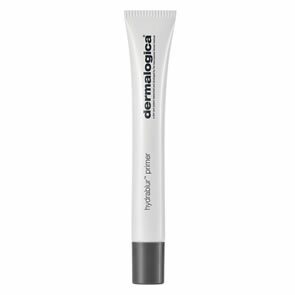 Dermalogica HydraBlur Primer is a lightweight, non-greasy primer that minimises the appearance of fine lines and wrinkles, mattifies gainst oily shine and imparts a silky finish onto the skin. H2ORelease™ Complex and Abyssinian Oil help provide intense, sustained rrelease moisturisation that locks in optimum hydration levels. A microencapsulated tint releases upon application to provide light, neutral coverage while Whu-Zhu-Yu Fruit Extract enhances skin radiance. Naturally-astringent Mushroom Extract reduces pore size and appearance. All skin conditions, particularly dry or dehydrated. Microencapsulated Iron Oxide complex provides a light, neutral tint coverage. H2ORelease™ Complex: Sodium Hyaluronate, Algin and Trehalose form a sophisticated complex that gradually releases moisture into the stratum corneum, optimizing the skin’s hydration levels and controlling Trans-Epidermal Water Loss (TEWL). 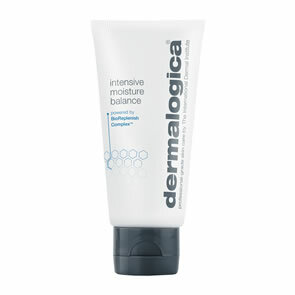 This intense, sustained-release moisturisation benefit locks in optimum hydration levels all day. Crambe Abyssinica (Abyssinian) Seed Oil: Unique in molecular structure, this lightweight seed oil contains a high percentage of unsaturated fatty acids that form a non-occlusive film over the skin. This film smoothes skin texture and tone while helping to maintain critical moisture balance – all without clogging pores. Glycerin and Sodium PCA: These humectants naturally found in the skin help bind water into tissue, maintaining proper hydration levels that help minimise fine lines from dehydration. Fomes Officinalis (Mushroom) Extract: The pore-refining, non-drying properties of Agaric Acid, found in Mushroom Extract, help reduce pore visibility. Evodia Rutaecarpa (Wu-Zhu-Yu) Fruit Extract: Rich in powerful anti-inflammatory properties, the extracts of this potent berry help boost microcirculation in skin, enhancing skin radiance and luminosity. Silica, Vinyl Dimethicone/Methicone Silsesquioxane, Boron Nitride: Together, these ingredients instantly mattify the skin and decrease the appearance of fine lines and rough texture. They also impart a smooth, silky feel while natural earth minerals help cosmetics adhere to skin and absorb oil; improve the smoothness of foundation; and help support make-up stability for extended wear. 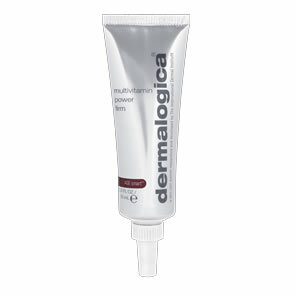 After applying the prescribed Dermalogica Moisturiser, smooth and blend Dermalogica HydraBlur Primer over entire face and throat. Can be worn alone for flawless looking skin or under make-up for a smooth canvas.